Let’s first define what a dream is. For me, my dream is what I most desire to achieve. It is a goal I want to reach more than anything and I will do anything it takes to achieve this. The thing with dreams is that they often remain dreams and never become reality. The question is therefore, how badly do you want to live your dream? 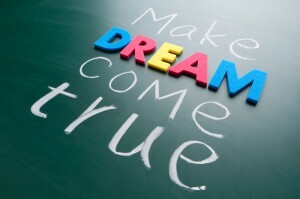 Is your dream really your DREAM? And if your dream is what gives you ultimate happiness, what good reason is there then to refuse yourself to be happy? When we’re young we allow ourselves to think big. We want to become firemen, play in the NBA or be movie stars and it all seems so possible. ‘Of course we will be able to reach this’, we think. As we grow older however, limiting beliefs start to kick in. Limiting beliefs are what keep most of us from reaching our goals. It starts when you enter puberty and you see another girl that you think is more beautiful, slimmer, or smarter. You see a classmate being taller and shooting the hoops easier. You want to go to Harvard and you think you do everything to be the best you can be, and yet there is that one other person having a slightly better GPA. 95% of us settle. We tell ourselves things such as: ‘mwah, too bad’, ‘I’m not good enough’, ‘I don’t have what it takes’, ‘I can do whatever but there will always be someone that’s better’. Where we used to aim for the stars we now settle for the rooftop. In a way it can be a good thing to not set your sights obsessively on one thing, but it shouldn’t be the case that every time things aren’t going your way backing down presents itself as the first option. What are the reasons that we stop ourselves from reaching our goals and living our dreams? A major reason why people give up on their dream is the planning of their goal. We often want to reach a long-term goal immediately without properly planning how to achieve it. We want instant success and fail to look at it as a process that takes time to develop. While it’s a good thing to be ambitious, it’s essential to have good self-reflection of what is possible now and what is possible a bit later in the future. The successful ones know this and systematically set sub-goals along the way. By doing this you will not only come closer to your goal, you will also know what success feels like every time you reach a sub-goal. This is important, because the confidence that success provides you with makes the prospect of actually reaching your long-term goal a lot more believable. Another reason is persistence. When things don’t go as we planned it seems very attractive to give up and do something else. In our minds we think: ‘yes, I want it, but it’s so difficult and it takes so long’ or ‘I don’t seem to be getting anywhere, what’s the use’. The use for continuing is that it means that your dream is still alive! It means that ultimate happiness is still attainable! It means that there is still a chance to lead the life you always wanted to live. The question is how badly do you want it and how willing are you to make this happen. The main reason that we give up on our dreams is the existence of limiting beliefs. As I mentioned earlier, limiting beliefs stop us from going after our goals. They’re constantly in our heads, telling us that we’re not good enough, telling us we can’t do it, making us feel insecure and bad about ourselves. At these down moments many of us lack the CONFIDENCE to tell ourselves how AWESOME we are and that we are OF COURSE able to reach our goals. We lack the REALIZATION that we have quality, we lack the BELIEF in our skills and we lose TRUST in our capacities. Limiting beliefs also arise on the outside. Your environment might be making you insecure by saying that you should be ‘realistic’. This is maybe the most often given advice and although meant well it’s often a useless claim. What is being realistic in the first place and how can you measure something so relative? Do you think Bill Gates was ‘realistic’? Oprah? Gandhi? As Will Smith once put it so perfectly, “Being realistic is the most common road to mediocrity”. The question that should be raised then is if mediocrity is something you want to identify with for the rest of your life, knowing that you haven’t given it your all. Pursuing a dream might be scary and frustrating at times, but it’s necessary if you want your dream to become reality. If limiting beliefs are this influential the only one to blame is YOU. You allow them to enter your system, instead of choosing to fight them off. You can decide to refuse them from influencing you, because you are the boss over your own mind. The moment you realize this success lies in your own hands. You CAN do it; you just need to positively change your mindset. Positively changing your mindset is nothing other than saying goodbye to limiting beliefs and embracing an unlimited belief in yourself. Imagine the feeling that reaching your goal would give you. Think about the things you would do and the joy you would feel. Hold this feeling for a while and see what it does to you. If this prospect makes you intensely happy you should ask yourself how you can possibly justify settling for anything less? In conclusion, the price you pay for giving up on your dream, unless it’s not your dream anymore, is the simple fact of not pursuing ultimate happiness. It’s very well possible that you choose to play it safe and feel comfortable with that, just as it’s perfectly possible that your dream appeared not to be really your dream at all. In that case, good for you. You then live life to the fullest by choosing another path. For others, however, it can become incredibly frustrating to fantasize about ‘what might have been’, especially if they didn’t pursue it because they gave in to limiting beliefs. Make sure that if your dream is your passion you can at least say you’ve given it your all, no matter what. Shake off all your limiting beliefs and be as happy as you can be. Settling for less is a ridiculous waste of our limited time. Samuel Mulder is Vice President of Briella Arion and is deeply & passionately committed to the growth & effectiveness of leaders, teams, and organizations. 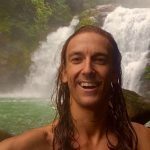 Samuel is a NLP Expert, Confidence Coach, Author, Speaker, and Life Enthusiast! To IGNITE your Purpose, Presence, Passion, & Profit visit Briellaarion.com or samuelmulder.com.